With Workflows, ftrack opens itself up to a world of production possibility. Whether you’re working in visual effects, 2D animation, video games, virtual reality – any creative industry with a need for a mindful production process – ftrack will tailor itself to the way you work. Using ftrack’s Workflows, users can customise project structures to mirror the terminology of their domain – and all without having to rewrite code: it’s just as easy as restructuring a file system. So, if you want to change your project structure from Sequences, Shots and Tasks to Characters, Art and Development, you can! Workflows allows for complete flexibility out of the box, enabling users to adapt and mould ftrack to the specific needs of their project. Thanks to Workflows, ftrack can undertake any project, no matter how diverse it may be. 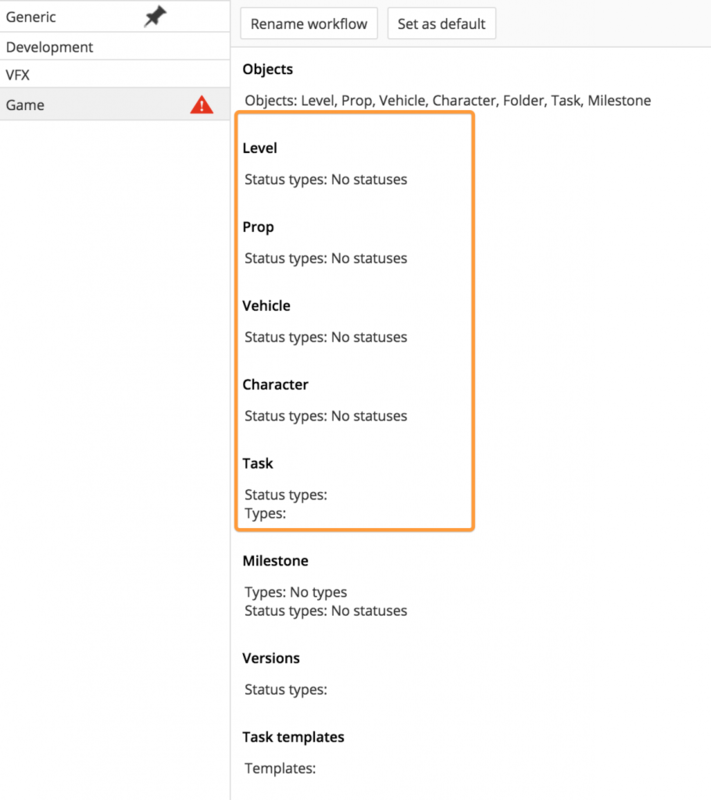 Workflows define the types and names of objects you can create in your project hierarchy. These can be folders, tasks or other custom entities that you have created to approach different approval processes, and available statuses that can be set on on each object. 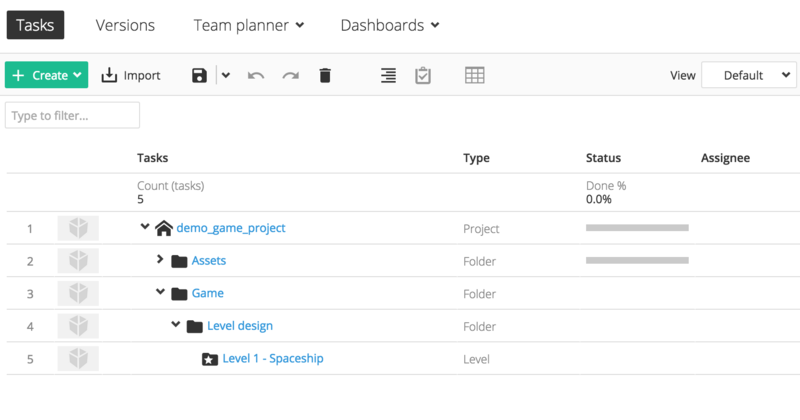 Workflows also define task templates, icons and more. Can I create my own Workflows? Yes! While we bundle many “out-of-the-box” workflows with ftrack, we understand that no two pipelines are the same. 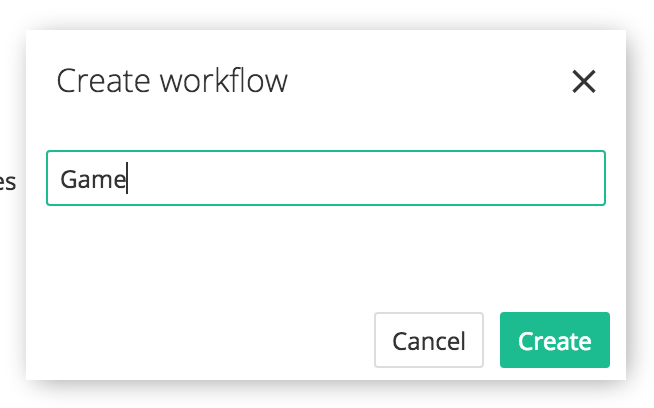 With that in mind we’ve made it easy to create your own Workflows in ftrack. You can also create your own custom entities. These entities are also dynamically accessible via the API after you have created them, so you can call them from your scripts as well. Learn more about creating custom entities. Can I have unique Workflows for each of my project? 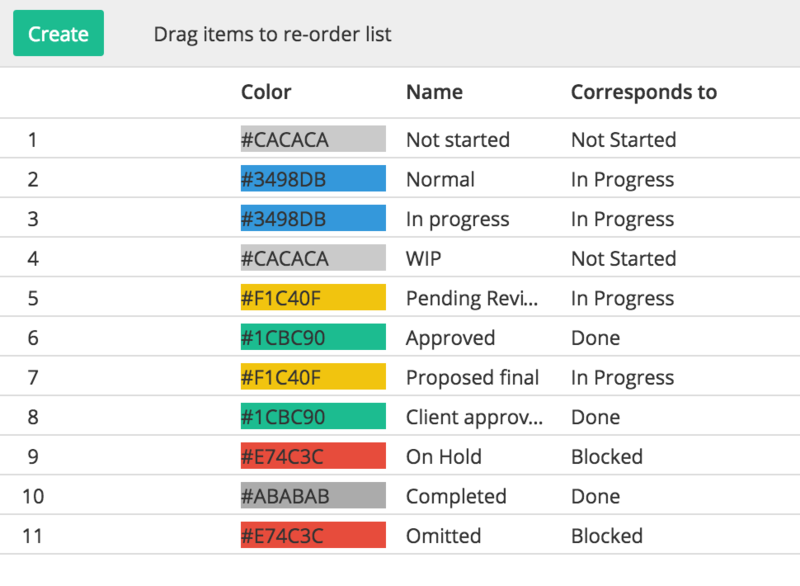 Yes, you can mix and match different Workflows for you projects. You can have a project with a VFX workflow, for example, alongside projects with workflows for entirely different disciplines. While it is on the roadmap to support sharing of Workflows between studios, we do not currently support this. However, if the community is screaming for your great workflow, we’ll be happy to include it with ftrack’s other “out-of-the-box” Workflows. Can I customise your workflows? Yes, you can tailor any workflow that is included “out of the box” – ftrack can easily match your way of working. 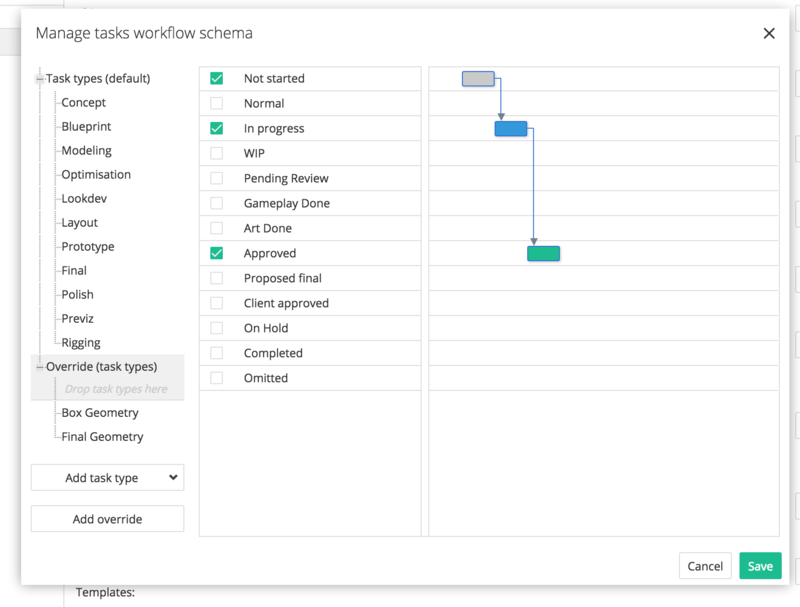 What is the difference between Workflows and Workflow Schemas? 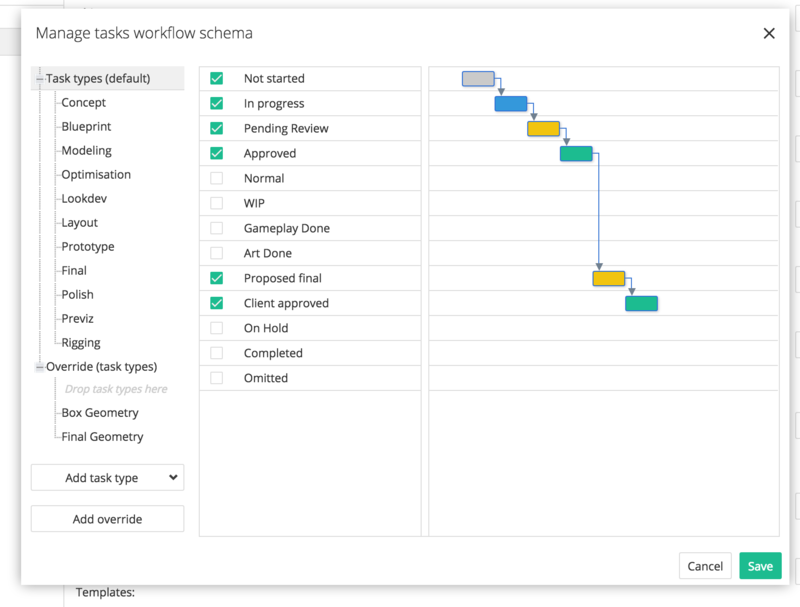 Workflows are essentially the upgraded version of Workflow Schemas, which have always been a part of ftrack. 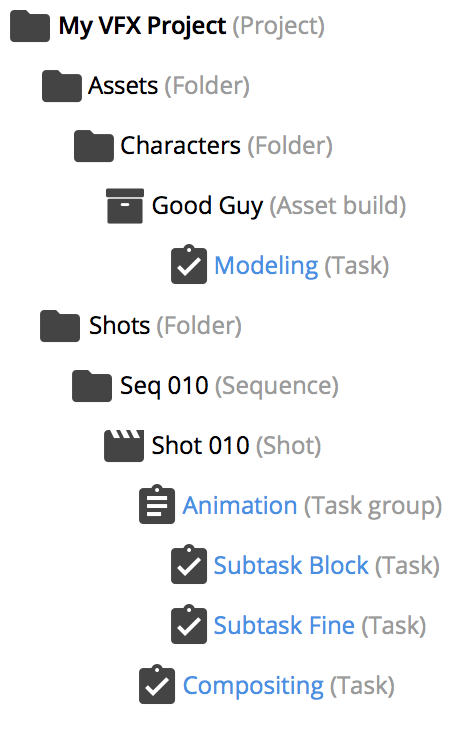 The big difference is that with Workflows you can now create arbitrary project hierarchies and are not limited by the previous Sequence/Shot/Task layout or any hierarchy depth restrictions. 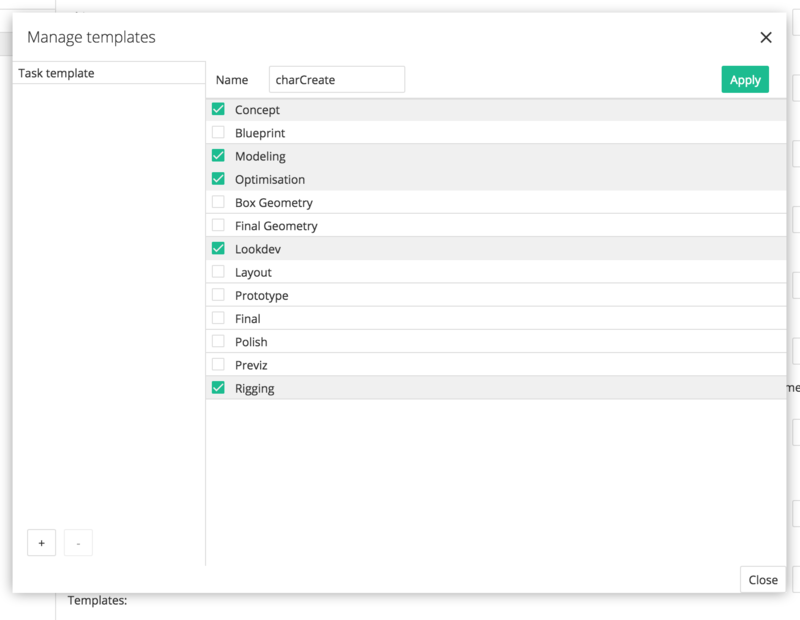 You can also create your own custom entities alongside our “out-of-the-box” entities, which makes it possible to undertake any type of project. Getting started with ftrack doesn’t get any easier than this. Use this Workflow for simpler projects where you only need generic folders and tasks, and a limited set of statuses like Not Started, In Progress and Complete. A Workflow built around typical VFX work. More objects and richer statuses give you the building blocks to easily manage your VFX production. You can divide your production into Pre-production, Asset Builds and Production. We haven’t forgot about the developers! This workflow has everything you would expect from a software development tracking software, keeping time tracking and resource schedules aligned on the same platform. Don’t want to use the Workflows bundled with ftrack? Fear not: it’s easy to create your own custom Workflow. In this example we will create a simple video game Workflow. 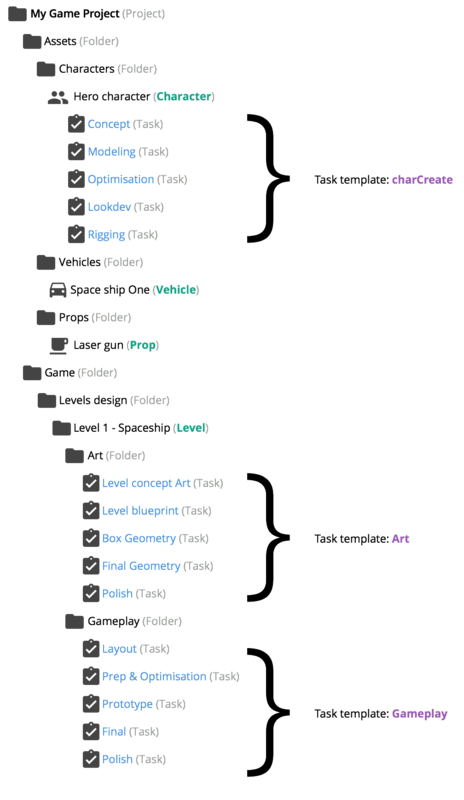 This is the layout vision for your video game project hierarchy. 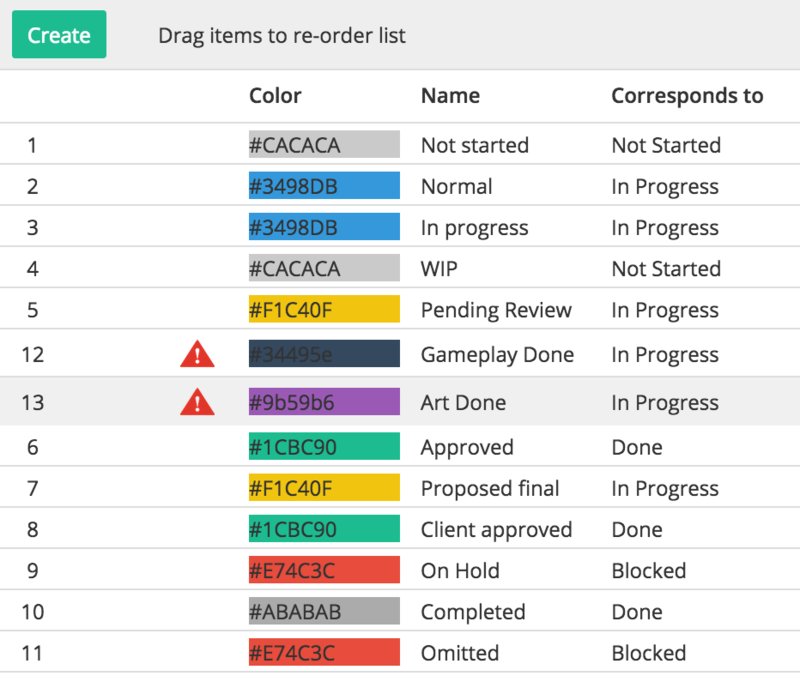 Items highlighted in green are new custom entities that you need to create, while items highlighted in purple are task templates that you need to set up – these will make it easier for your department leads to create new sets of tasks for the artists. 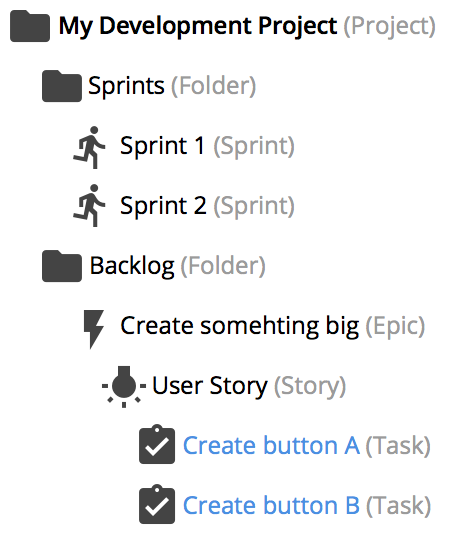 For your new workflow, you might also need to create some new tasks types that are not available “out of the box”. Why don’t I just use generic folders instead of creating new custom entities? Firstly, you may want a swanky new icon for your custom entities that distinguish them from other entities. 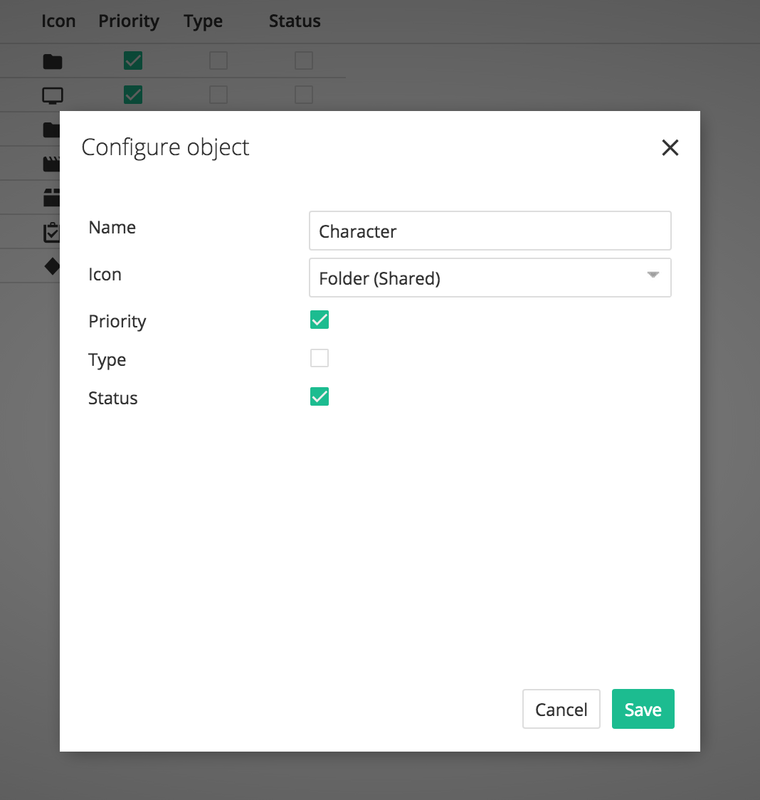 Secondly, you may want to be able to track status and priority as well as linking custom attributes on these custom entities, and that isn’t possible with the generic default folders that come “out of the box”. You may also want your new entities to be easily accessible via the API for any automation that you set up. Alternatively, instead of creating four new custom entities, you could create just one, but make it possible to have different types associated. However, the problem with this approach is that you would be restricted to just one icon for all different types, and the same custom attributes would be visible on all types. Read more creating custom entities here. For Character, Vehicle and Prop entities use the statuses Not Started, In Progress, Pending Review and Approved. For Level, use a different set of statuses: Not Started, In Progress, Art Done, Gameplay Done, Complete. You should also enable all four entities to set priority. Lets create our new custom entities. If you have the correct permissions you should see System Settings in your user menu. Click on System Settings to go into settings. Click on Objects under the Workflow topic. 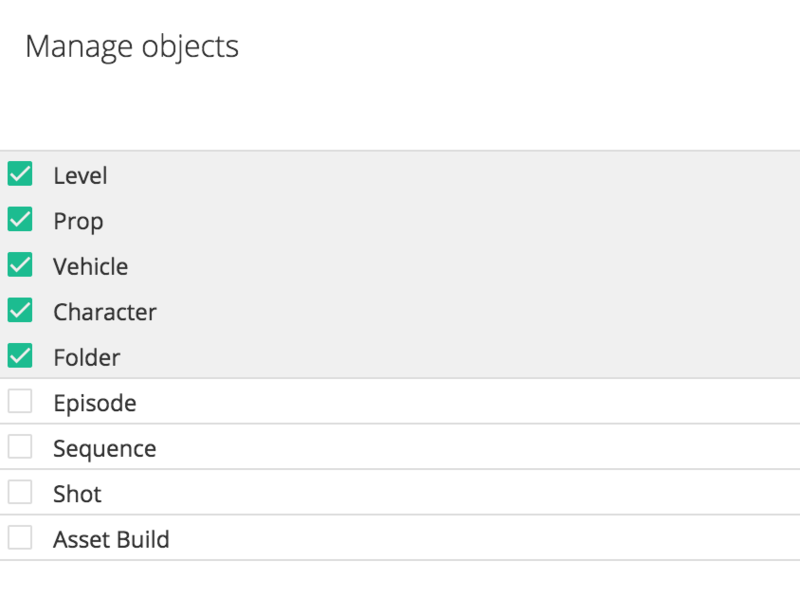 Under Objects you will see the default object/entity types in ftrack, unless you’ve already created any custom entities. 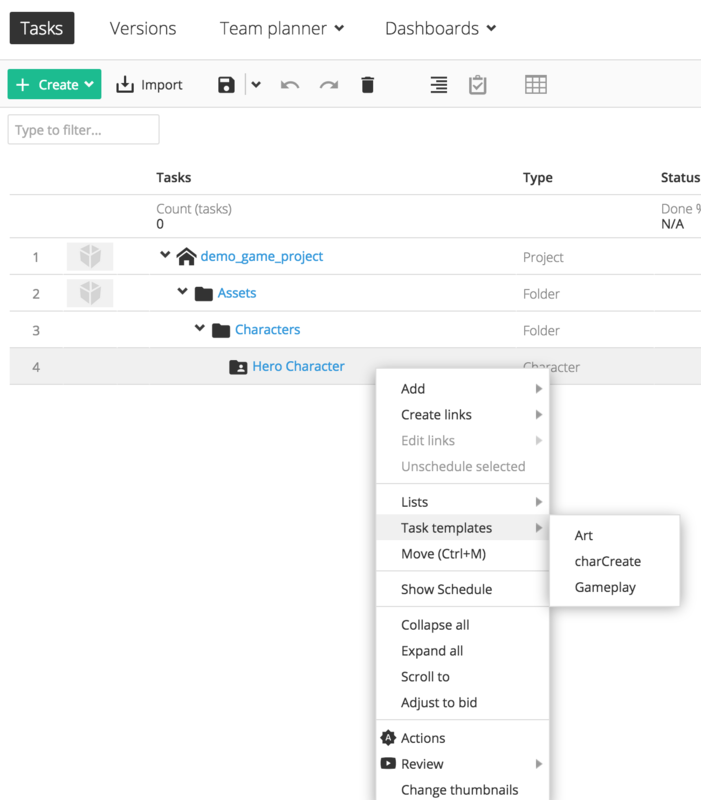 Click on Create to add the new Entity types needed for our Workflow. As mentioned above we also need to create new statuses that we will use in our new Workflow. 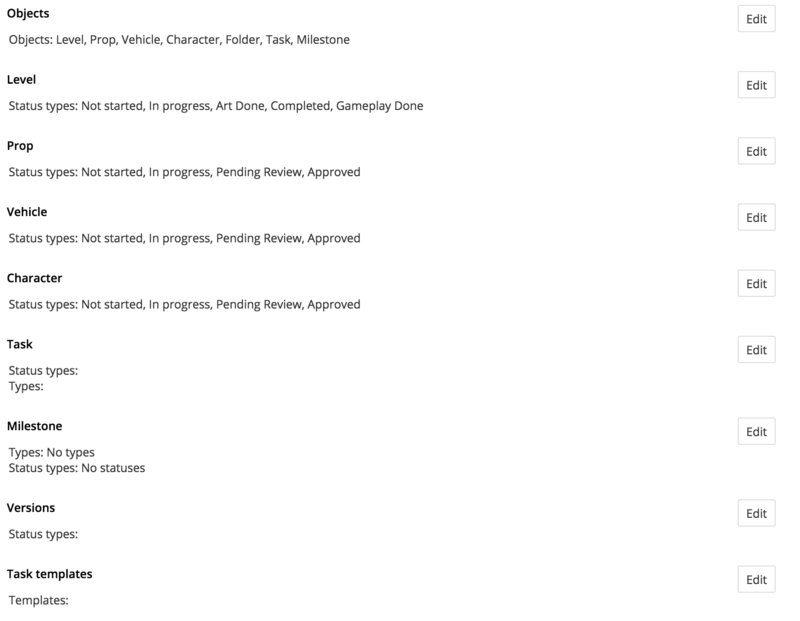 Not Started, In Progress, Pending Review, Approved, Art Done, Gameplay Done and Complete. Some of these statuses will already exist. Lets dive into statuses. Under Statuses you will see the default Status types in ftrack, unless you’ve already create any custom statuses. Statuses are shared among all different types of entities. It looks like we only need to create two new Statuses, Art Done and Gameplay Done. Click on Create to create a new Status. Next, let’s re-arrange the order of our new Statuses so they match the Approval process. Here, ftrack is warning us that our new Statuses are not added to any Workflow yet and thus are not available for end users. 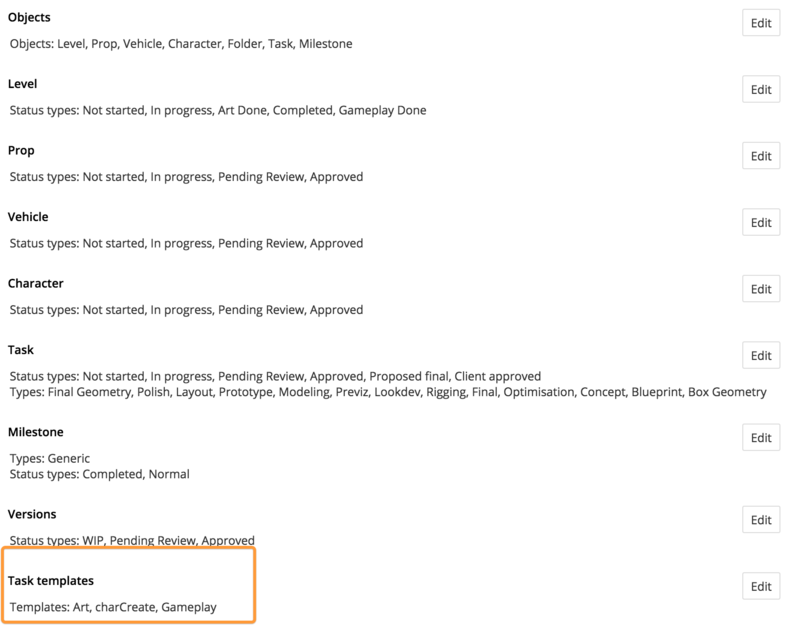 In a few steps we will add our Statuses to our new video game workflow. Next, we’ll add some new task types. The entity Task already exists, so we only need to add the unique types to this entity. Under Types you will see the default Types in ftrack, unless you’ve already create any custom types. Types are shared among all different types of entities (if they support types – see above). Click on Create to create a new Type. 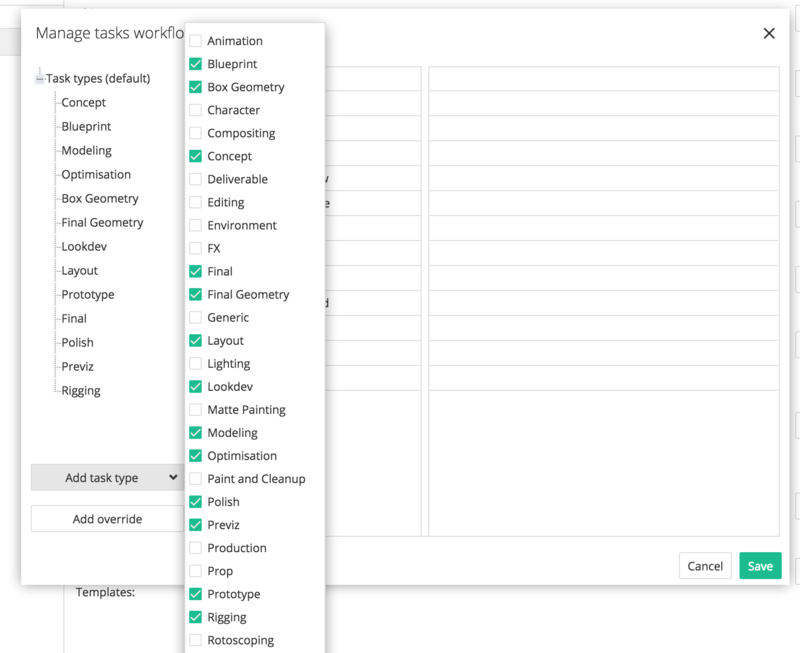 Here you can see all the task Types created. We have kept the same colour for each Task type for clarity, but you could have a unique color per task type to distinguish between them if you so wish. Note: You don’t always need to create a new Type for each task; sometimes you can use an existing Type, e.g. Modeling. When you create task related to Modeling, you use the Type Modeling, but you give it another display name, like Box Geometry or Final Geometry etc. In this case we have created unique Types for the purposes of clarity. 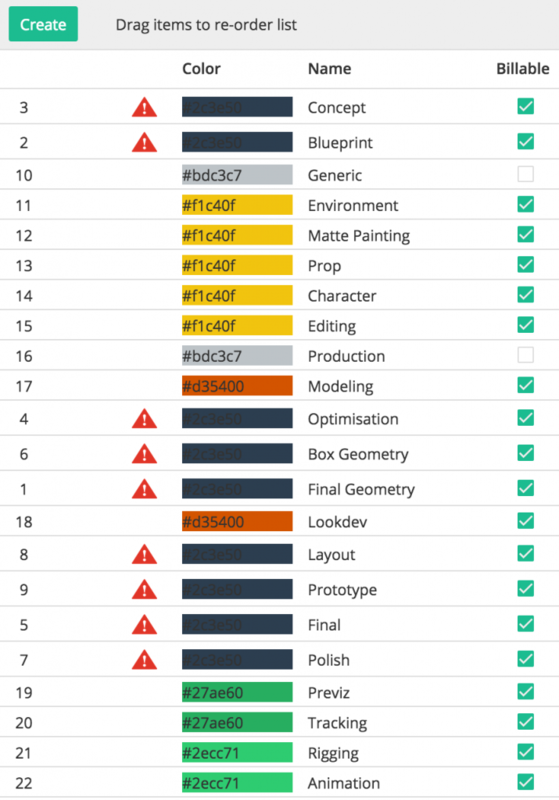 Lets re-arrange the order of our new Task types so they match our Pipeline steps. Just as it did in the example above, ftrack is warning us that our new Task types are not added to any Workflow yet, and thus are not available for end users. Now that we’ve set everything up, we can start preparing our Workflow. 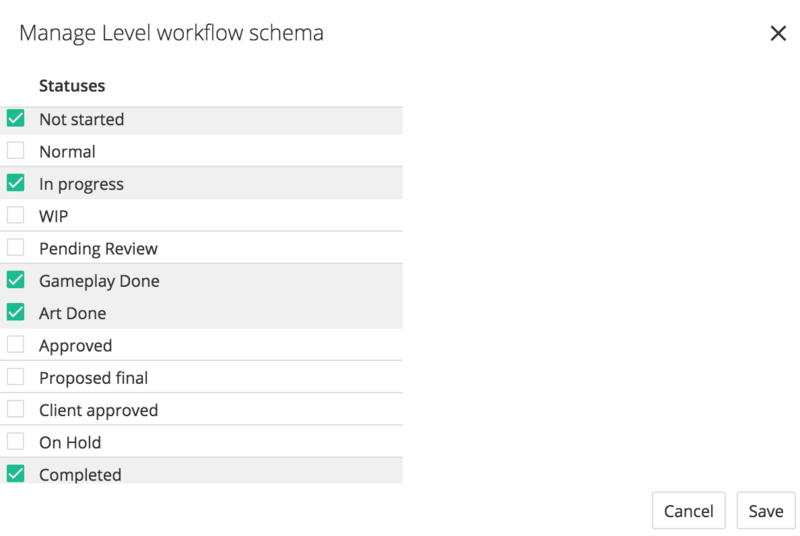 Under Schemas you will see the default Workflows in ftrack, unless you’ve already created any custom Workflows. 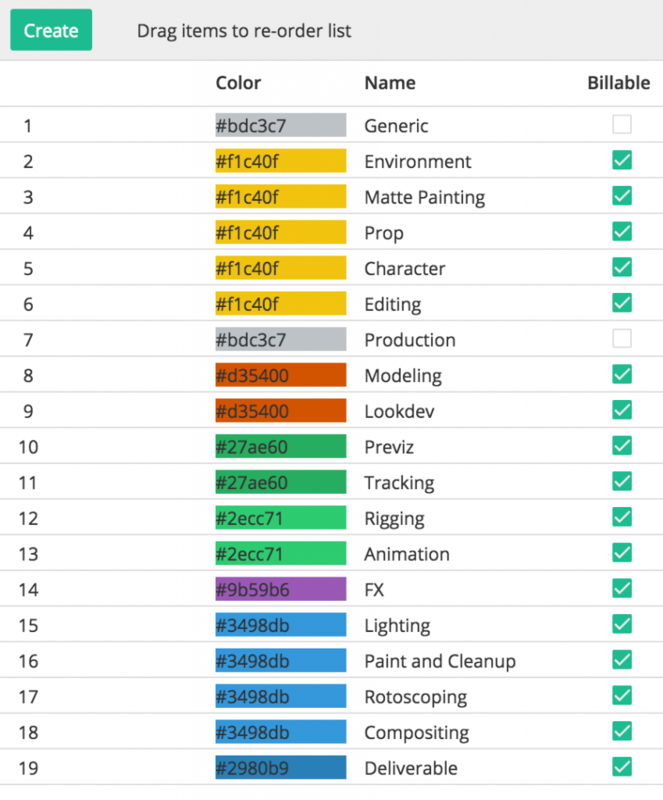 Click on the + at the bottom of the column to create a new Workflow. 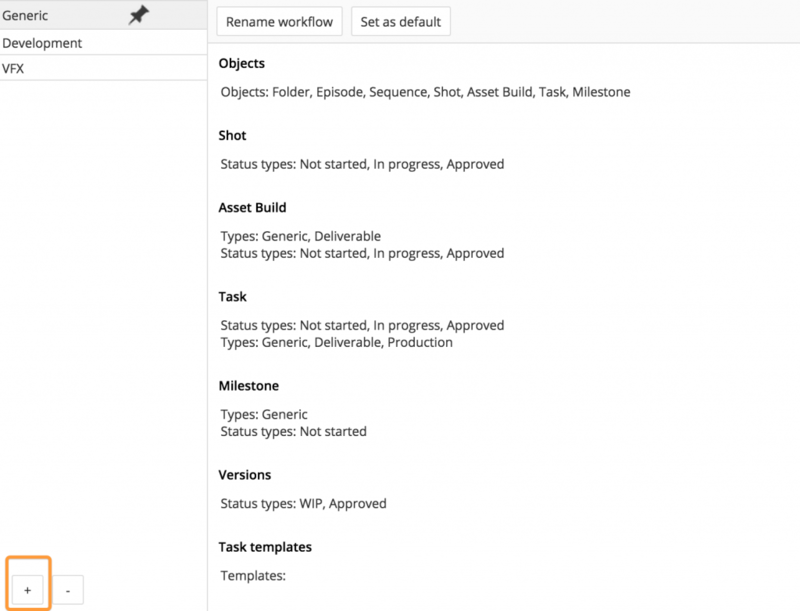 Lets add Objects/Entities, Statuses, Task types, and Task templates. Click on Edit next to Objects. 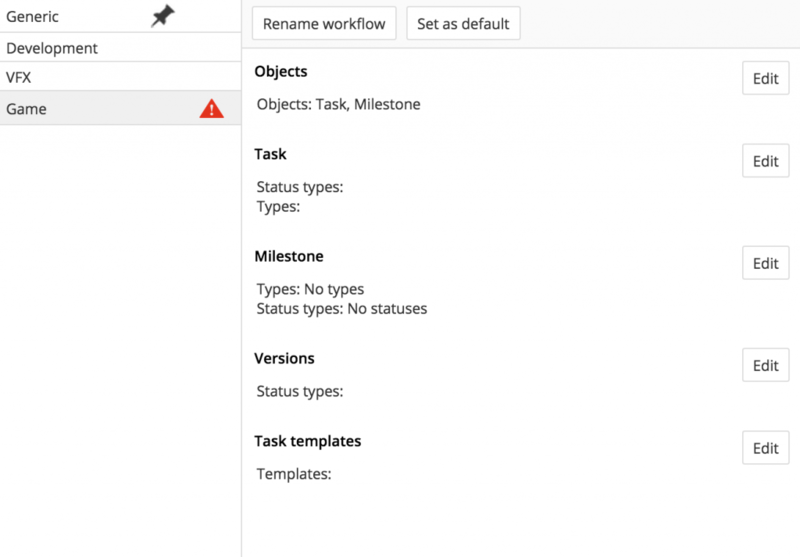 Note that Task and Milestones are default Entities that can’t be removed. Select the Entities you want to add. 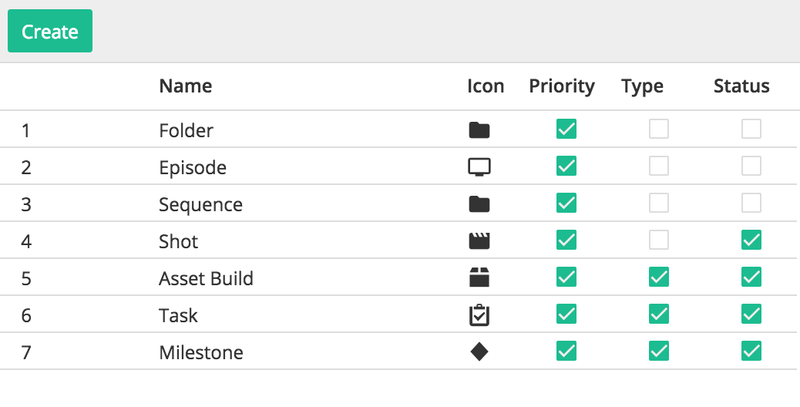 Let’s edit each of the new Entities to add status types and add Task Types to our Tasks. Click on edit next to Level. Do the same for Prop, Vehicle and Character. 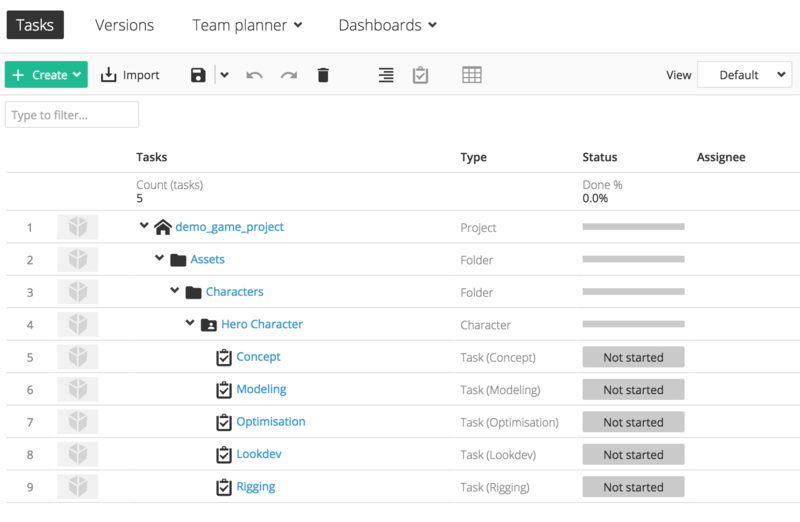 Lets add our new Task types to Tasks. Click on edit next to Tasks and click on “Add task type”. Let’s add Statuses, or the approval process, to our tasks. For Box Geometry and Final Geometry we will override the Approval process and just use Not Started, In Progress and Approved. Click on “Add override” and drag Box Geometry and Final Geometry to the new group. Click on the group and select your Statuses. Finally, add Statuses to Version and Milestones. 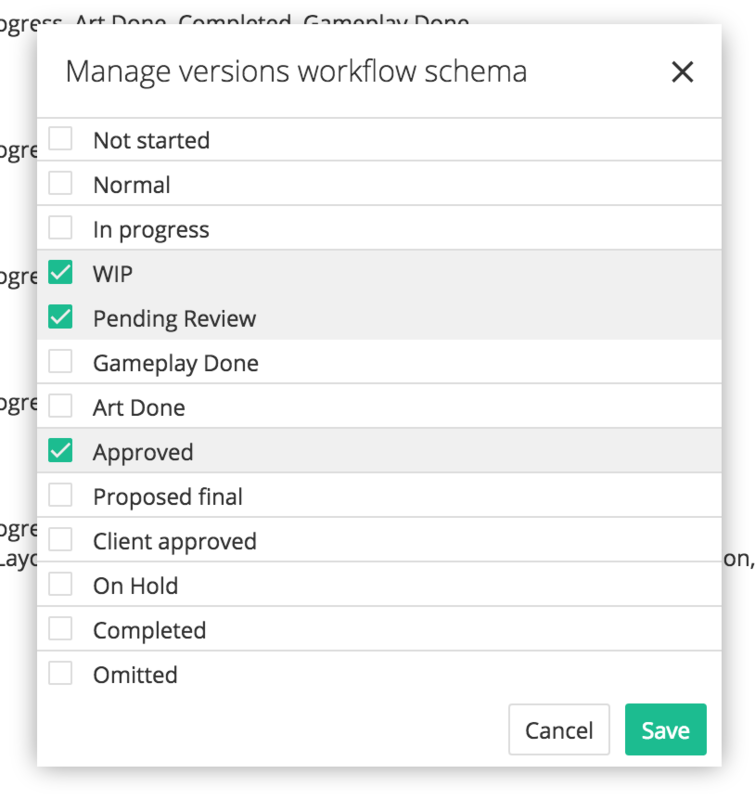 That’s it: we now have the basis for our workflow, enabling us to work in a manner tailored towards the video game pipeline. 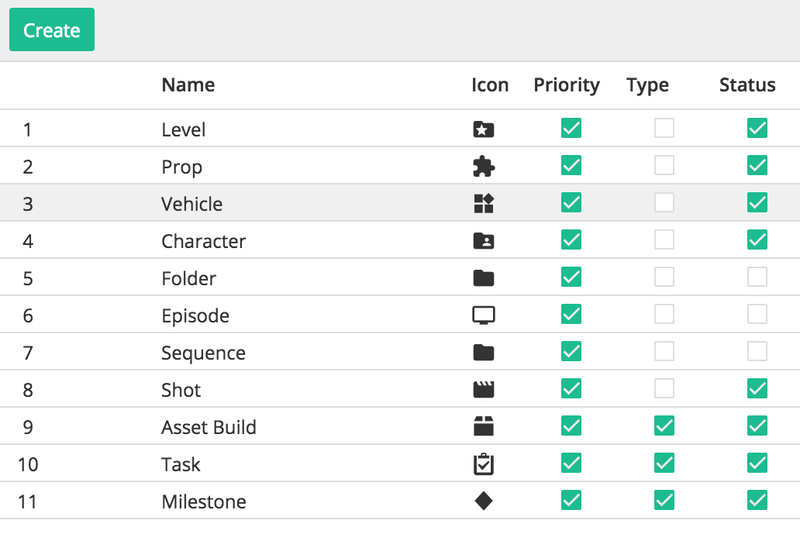 We also have descriptive icons, the correct statuses on each entity, familiar task types and more. 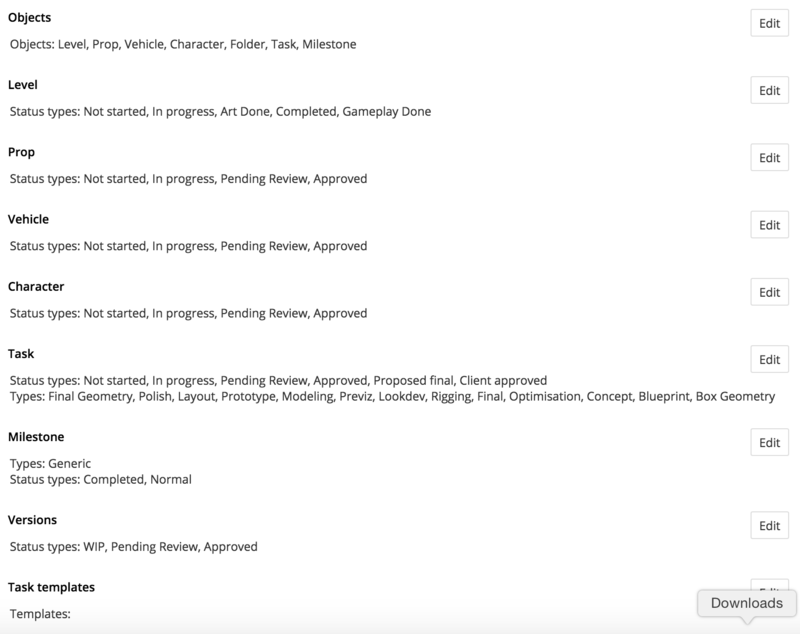 To make our workflow even more streamlined, we can create a few Task Templates that are easy to drop in when creating projects. Click Edit next to Task Templates. Click on the + to add a new Task template. 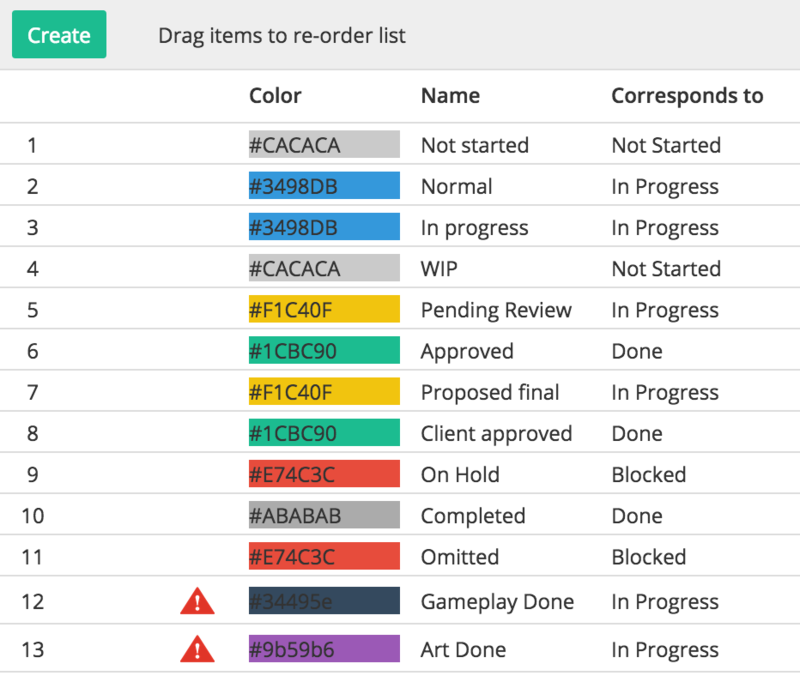 Select your task types for the charCreate Task template. Do the same for the Art and Gameplay Task template as well. 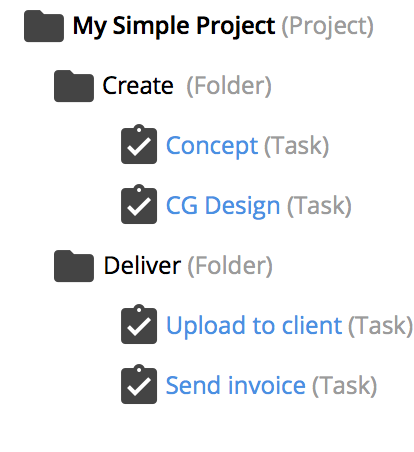 That’s it: you now have three easily accessible Task templates to help with creating your project. 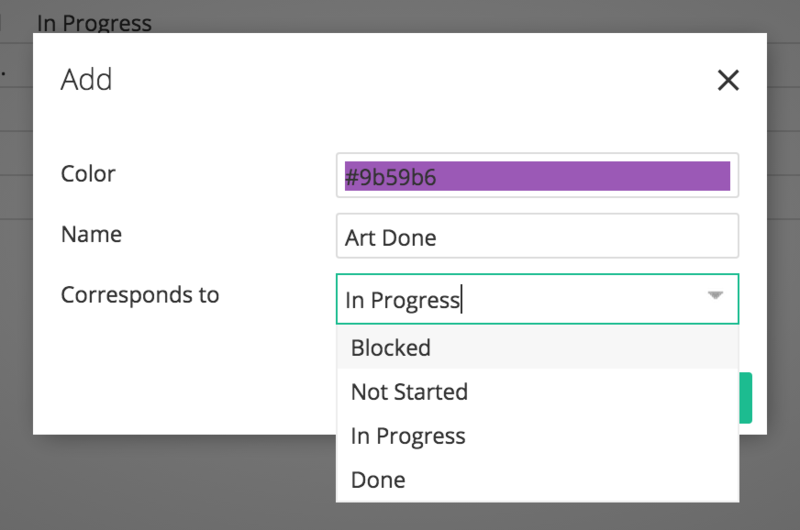 Another powerful feature in ftrack is the ability to link Custom attributes to your entities. For example, on the Character entity you may want to add an attribute called Complexity, with the possible values of Easy, Medium and Hard. Click on Custom attributes under Advanced. 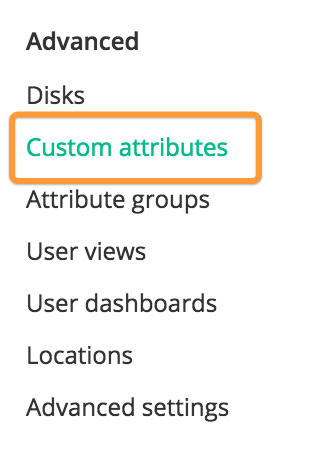 Here you will find the existing Custom attributes. Click on Create to add a new Custom attribute. 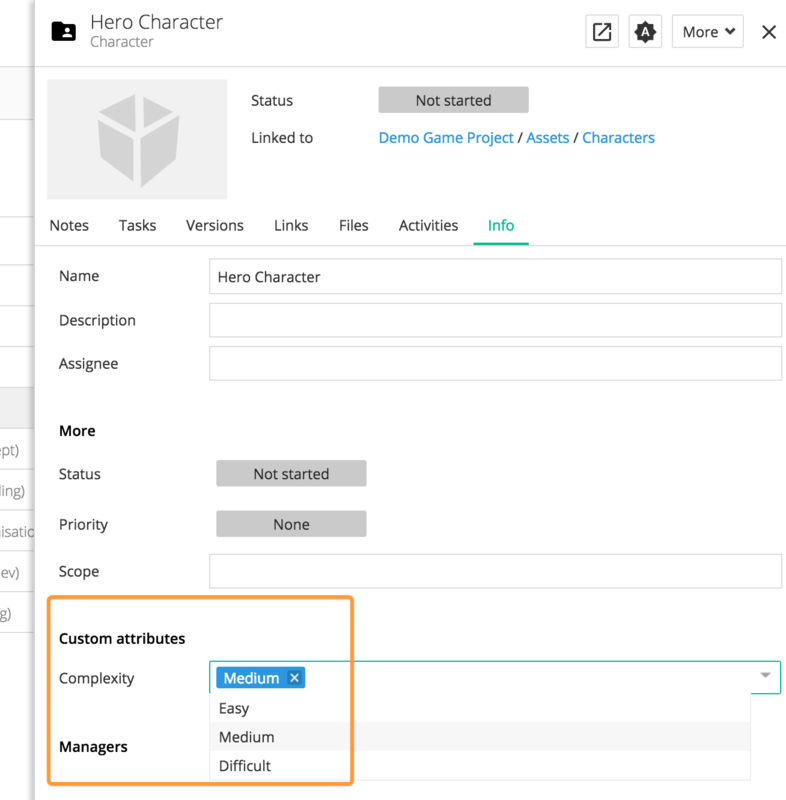 Learn more about creating Custom Attributes. 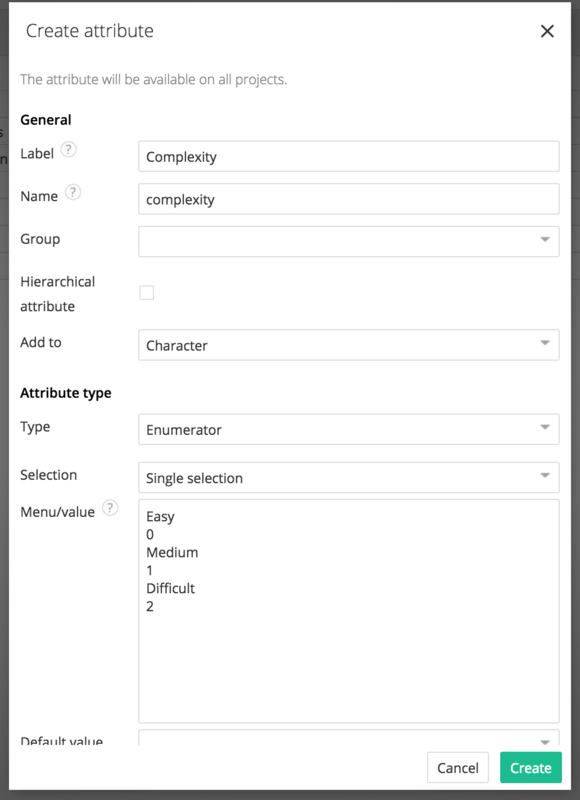 Create a new enumerator attribute called Complexity and link it to the entity Character. Select Single selection and add the values Easy, Medium and Difficult to the enumerator. You can also manage permissions for your Custom attribute, but for purposes of clarity we won’t go into that here. That’s it: you have now linked a Custom attribute to your new entity. When creating new instances of this entit, you can also specify the complexity. You can also add Custom attributes per project rather than a global attribute. Learn more. 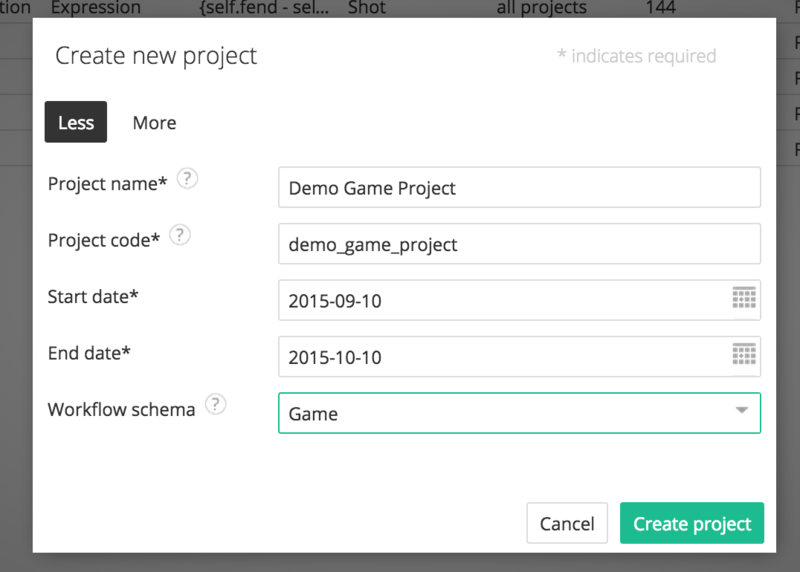 Next, we’ll discuss how to create a project to see your new custom workflow in action. To begin, select Game workflow. 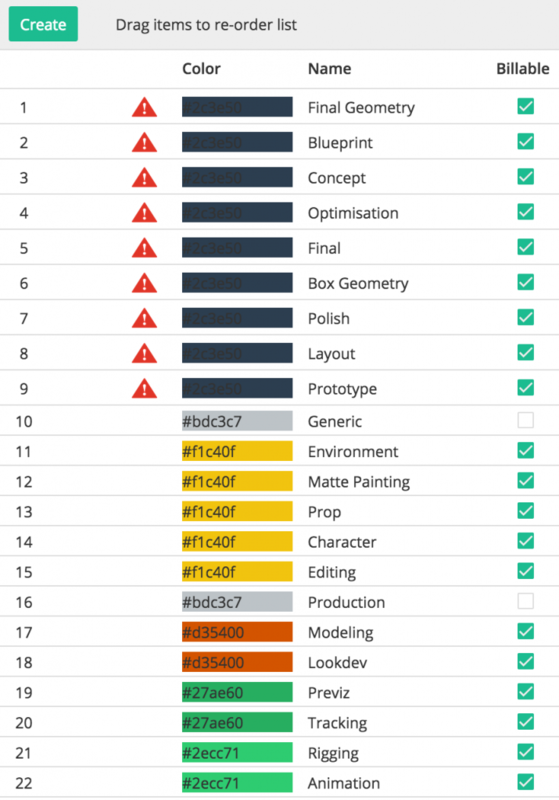 Below you can see that we have created a simple layout/hierarchy that contains the task templates that we created earlier. 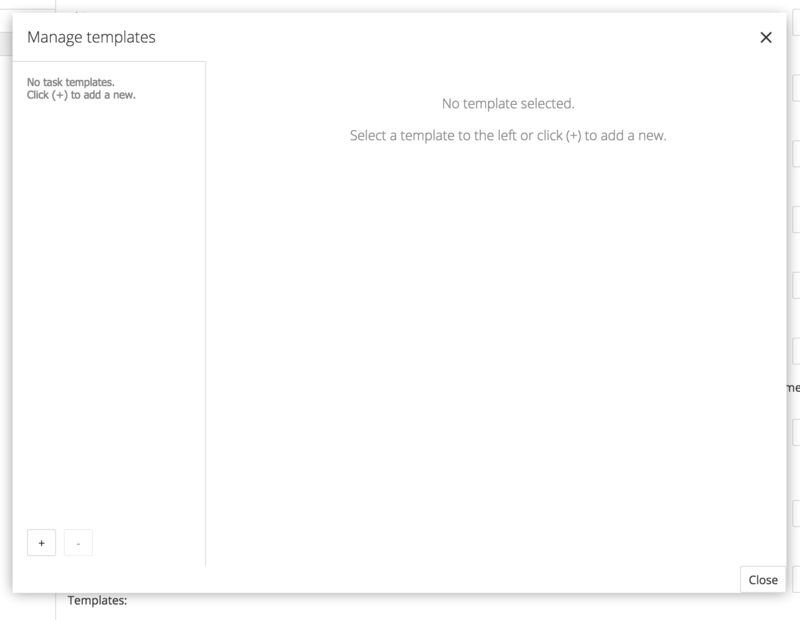 In the image below, you can see that we have added one of our custom task templates. 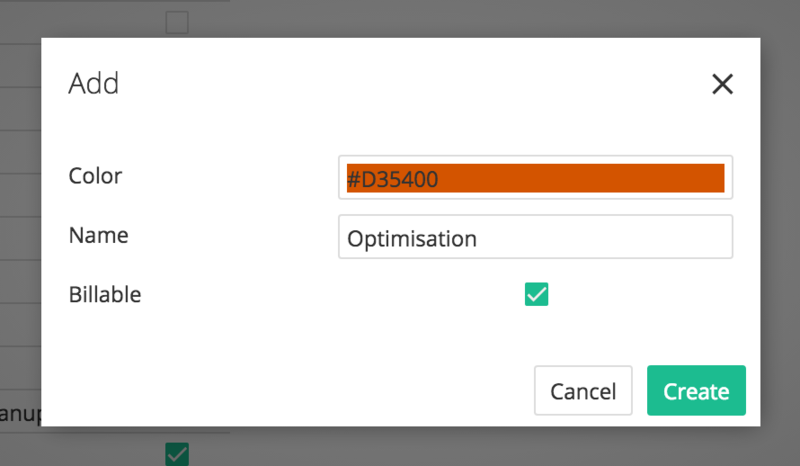 If you wish, you can set the custom attribute complexity that we created in the earlier steps. 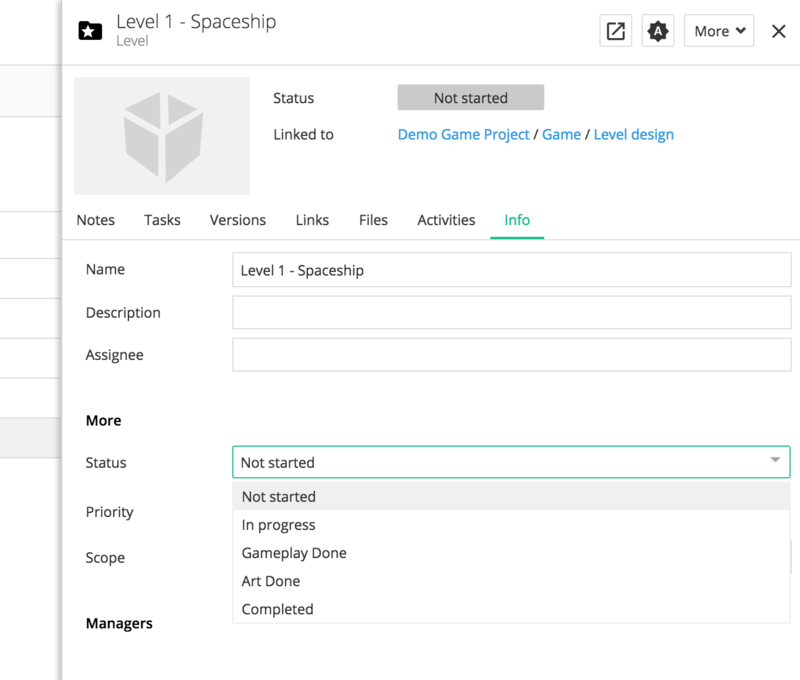 You can also create a Level entity in the project, to help further define your workflow. You can also set the unique statuses for the Level entity. This makes for a much deeper and customised workflow, directly created bespoke for the video game development process. Using this workflow, you can tackle any video game project in a much simpler and more intuitive manner. ftrack has tailored itself to workflow, rather than vice versa.